Console racing games have been dominated by Gran Turismo and Forza Motorsport for generations, but all that history could be about to change. London’s Slightly Mad Studios has come up with a brand new approach to developing motorsport titles. After creating Need for Speed: Shift and Shift 2: Unleashed, the studio decided to break away from the traditional developer/ publisher business model to try something completely new. The company created the World of Mass Development, an online community where gamers can invest in a development project in exchange for regular access to new builds of the work-in-progress product. Investors can also give their feedback to the developers on every aspect of the title, leaving their mark on the game. The studio created this concept before the advent of services like Kickstarter and IndieGoGo, giving them complete control over the funding process. So far, the studio has raised a staggering $4.3 million from over 80,000 registered members of its community and unlike Kickstarter, Slightly Mad’s investors will actually make some money back if the project is successful. The funding process has been so successful that Slightly Mad Studios is being investigated by the UK’s Financial Services Authority, which wants to make sure that the World of Mass Development is a legitimate business. Investment in the game has been temporarily paused while this takes place. The game Slightly Mad Studios is creating using this model is Project CARS, a racing game aiming to cover every aspect of motorsport, from karting to Formula One. CARS’ astonishing graphics have caught the attention of racing fans throughout the world, with the game expected to release in 2014 for the PC, Xbox 360, PlayStation 3 and Wii-U. We spoke to Creative Director, Andy Tudor, to uncover the secrets of the title and its unusual development process. Why did you decide to strike out on your own after shipping two successful racing games with EA? Project CARS offers us a chance to go back to our roots and compete on our home turf in the sim racing genre with our own IP. The Need For Speed franchise is an ever-evolving entity and continues to be in great hands with the Criterion team for whom we have the greatest respect but you have to follow your heart and we believe there’s an opportunity there for a multi-platform realistic racer with innovative and best-in-class features that was made in collaboration with the people that have been playing our games for years. What was the inspiration for the idea of the World of Mass Development? Even with our pedigree in making kickass racing games, getting the funds and green light for a project like this from a traditional publisher isn’t a walk in the park when considering all the licensing costs for the cars and tracks and the development time needed to make a game that’s going to be competing against Forza and GT in people’s minds. So yes we explored other avenues briefly first, but a crowd-funded, crowd-powered platform for making AAA games was always in our minds because ultimately we’re not alone in this situation and it can hopefully benefit other developers in the future. With so many investors, each offering very different amounts of funding, how has this approach impacted upon your normal game development process? We put up the original design overview back in October 2011 which listed the features we’d like in the game and since then the vision has remained pretty similar. Things have been massaged along the way like the moving of Rally to expanded content and more focus on the motorsports people would like to see represented in career mode, but no more so than would normally happen during milestone meetings with a publisher or when discussing requests from a marketing department. Development has therefore been pretty similar – we make regular builds of the game for people to play and give feedback on and the team post up their progress on individual items like car building, handling improvements, bug fixes etc. We gradually work through that original design doc. The biggest difference (and improvement!) is that we now have a huge focus group of players that we can get feedback from as soon as a new update to the game goes live. So it’s definitely helped us get to a higher quality level more quickly because of that rapid turnaround time and it’s helped indicate to us what features and items are really resonating with players and therefore what we should be spending more time on. How is the pressure of working with fans’ money different from working with a big publisher? The pressure of working for a publisher comes from one: the game has to be released at a certain date to fit a specific window of opportunity and two: you have to complete the work each month in order to get paid, neither of which are as prevalent using our model. Whilst we are still aiming at a specific launch date, ultimately the decision over whether the game is ready or not for release is part of the community input – if they don’t think it’s ready then we’ll listen. But whilst those specific pressures don’t exist, you’re right, new ones do though. Obviously we’re making the game in full public view – every community member has a backstage pass in effect to see how we make games, talk to us about it, and offer suggestions – so our approach from the outset was to be as transparent and open as possible with everything. We’re in a very privileged position to have so many gamers believing in us and the project so it’s our responsibility to treat them with respect, listen to their concerns, and deliver upon that initial promise of a beautiful, deep, successful racing experience. Is it different to be working with investors who have more emotional involvement in the project as well? There’s definitely a pleasure and benefit that comes from working alongside a community of people that are just as passionate as ourselves about making the best, most authentic, fun product possible. As an example, the leaps and bounds we’ve been making in terms of our physics, tire model, handling, and lighting are all a testament to the great feedback that we’ve been getting since the start of the project. To then see that translated into trailers that the community then voluntarily create brings that process of collaboration full circle. Have you had any problems with investors expecting more involvement in the project than you were originally willing to offer? Well in actual fact we’ve tried to encourage those guys that want to go the extra mile where possible. The guys that live nearby a track location and volunteer to go and take reference shots for us, or ‘a guy that knows a guy that knows a guy that works at Fanatec [a steering wheel manufacturer]’, or members that are clearly gifted when it comes to taking screenshots or creating trailers, or run existing sim racing forums/websites and want to be ‘community ambassadors’ for the project. 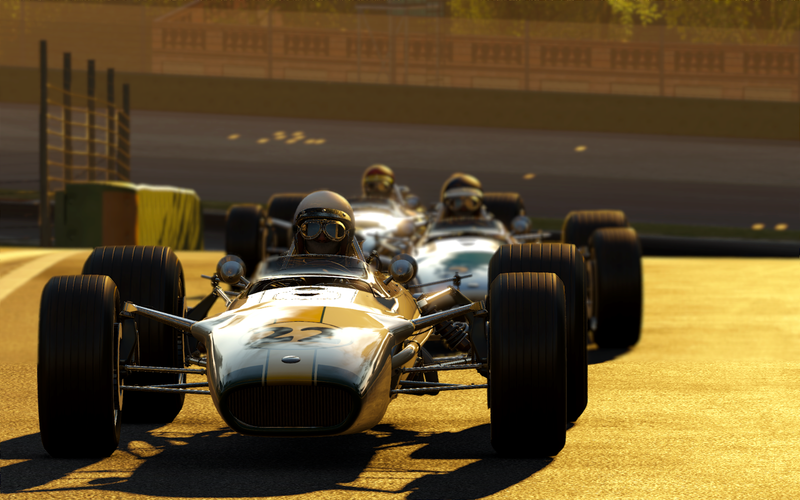 We’ve just launched our Project CARS API that allows people to get third-party hardware and devices working with the game and that’s all a response to this desire from the community to get involved more. While you’ve been working with the World of Mass Development, services such as Kickstarter have exploded in popularity. Do you ever regret putting so much time into your own investment system when third-party services have become so popular since? Kickstarter and IndieGoGo are great for donations but are limited in the conversation you have with the project starters since you only really have email alerts or video updates to inform you how your money is being spent. With our model though you go behind the scenes with us and see how the game is made. You can get builds of the game right now, play it and give us feedback on it, ask us questions directly on our forum, take part in key decisions as to the direction and features in it, and generally get treated like a fellow member of the team. There are ‘perks’ of course just like Kickstarter that reward you based on your financial contribution, such as your name in the game, exclusive access to stuff and more, but perhaps the biggest one that other sites don’t have is our ‘Fee’ system which will pay you back money dependent on the success of the title. Do you think that using Kickstarter would have gotten you more media attention for the project, or more money? Well Kickstarter was only available in the US at the time we started so that wasn’t even an option for us. It was – and still is – about that two-way conversation we have with the gamers that is only possible through World of Mass Development. Sure, we could have been mentioned in articles alongside Tim Schafer and the Oculus Rift but we’ve been extremely fortunate with the amount of money raised so far and the extensive media coverage we’ve gotten so we can’t complain really. We made the right decision. How difficult has it been to licence cars, circuits and other content without the backing of a large publisher? We’ve been making racing games since the early days of GTR and GT Legends so we have good relationships with manufacturers and circuits irrespective of publishers and individual game titles. 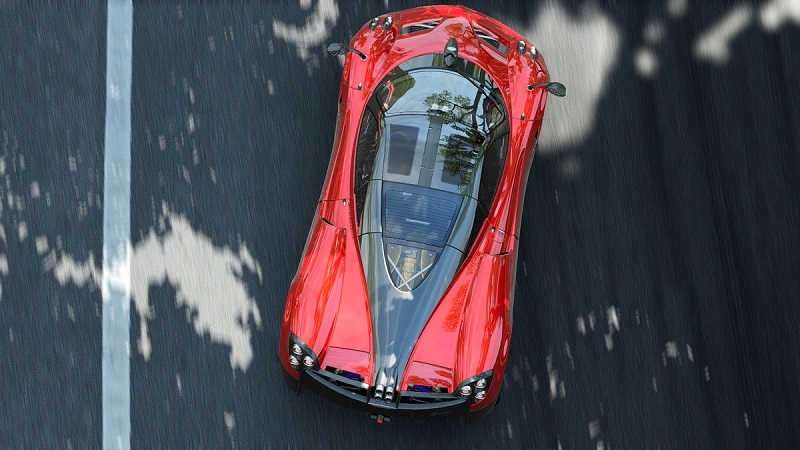 So people like Pagani or BAC have been really proactive and delighted in seeing their beautiful vehicles shown off in the game and we’re making steady headway with licensing more and more of the 37 tracks currently in the game. Sometimes it is more of a challenge than others but otherwise we continue to add more content to the game regularly. Project CARS has gotten lots of attention in the wider gaming community because of its stunning graphics and regular community galleries. How did this desire to push the visuals come about and how much of the money you’ve received is dedicated to the graphics? When you look at Forza and GT and the sim racing genre as a whole, realism is king. Whether that’s in the laser-scanned accuracy of the tracks, the individual recording of each engine growl, the CAD-sculpted craftsmanship in the cars, the 600Hz physics and handling, the features available in tuning setups etc. Being the most accurate representation of the real-life thing is the criteria that will give you an edge upon your competitors and put you one step closer to perfection. When you see a car in real life you want to get up close to it and appreciate the smooth lines and reflections, the attention to detail in the panel work and interior stitching, the mechanical intricacy under the hood etc… and there’s a 1:1 relationship with wanting to see that in the game also. We’re at a stage graphically where we’ve passed the ‘uncanny valley’ in terms of momentarily believing a car is real in a racing games, so now the kind of things that keep our art and code teams up at night, especially with the next-gen of consoles launching, are the same techniques and features that are used in movie CGI – tone mapping, global specular irradiance, volumetric clouds and so on. It’s difficult to break the [funding] percentage down on a pie chart but we live in a visually-driven world so it’s important for us that our screenshots and videos look stunning and it’s nice to see that the game is already getting buzz as the most beautiful racing game ever. Both NFS Shift games were criticised by the simulation racing community for poor car handling and controls. What have you changed in the approach to CARS to improve in these areas? So with the Shift titles we were obviously moving iteratively towards a more ‘sim’ style title. Shift 1 was the introduction of circuit racing to the previously illegal action/arcade titles from previous years. Shift 2 then introduced the ‘Superman versions’ of road cars with GT3, GT1 and other forms of real motorsport with Drift, Drag, Time Attack, and Endurance. Each step of the way we were also adding more depth to the physics, handling, controls, options, and general realism whilst still maintaining that core experience of ‘what it really feels like out on the track’. Compared to existing sim racing titles at the time though we still had a number of steps to go in terms of audience expectation on what they believed were key differentiators between the Shift titles and what they were used to and we appreciated those and have taken them on board wholeheartedly for Project CARS. The steering wheel input lag issues [with Shift] for example were major, so we spent a good deal of time at the start of Project CARS making sure the new system was perfect and that it wouldn’t be tainting the feel of any other developments we were planning for the physics system. The force feedback system was redesigned from the ground up too. It now allows us the freedom to adjust the input of all tire, suspension and G-forces to control the effect that the player feels at the steering wheel and is all exposed per-car to the player so it can be tuned to their equipment and personal liking. This has been a huge step up from the broader approach used on the Shift games where a limited and fixed set of inputs were used and the only control dial the player had was for overall strength. We’re also overhauling the tire model which is fully dynamic. The Seta Tire Model really is a generation beyond the steady-state models used in the past and it has forced us to step up our game in other areas as well, ensuring that every aspect of each car – aerodynamics, suspension and so on works up to the potential of the tire model. The perfect tire model is no good if those other parts aren’t all working in concert. As a generalization, the design of the Shift games required a huge amount of time balancing a large field of varied cars with multiple upgrade paths. For Project CARS, we are spending that time researching the details of each and every car to get the driving characteristics as correct as possible. There has also been community criticism of the pace of CARS’ development. For example, some builds have caused problems with previous content, even if they added new content and fixed other bugs. Has it been difficult to get people who are never normally involved in game development to understand the process? Again, it’s mixed. There are people that get super-excited about the smallest addition to the game and people that have concerns about something that previously they thought was final and has since become broken, so there’s definitely an education there that even ourselves are learning from since it makes us evaluate processes that we’ve traditionally used, but then get questioned by the community that are experiencing it for the first time. Ultimately though, people have been very understanding and curious about how games are made and love being part of this unified community. 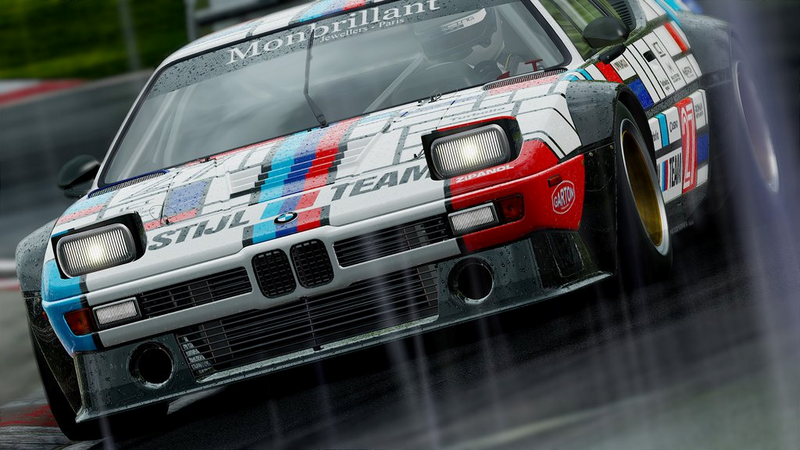 We know Project CARS is coming to PC and current generation consoles. Are you also considering next generation platforms, or would that require additional investment? So we’re looking at release for next-gen consoles after the current-gen and it would require additional money but we have strong hope that the community sees the potential and decides to fund it. Project CARS will be released for PC, Xbox 360, PlayStation 3 and Wii-U in 2014.